Ladybugs are a beneficial insect in your garden. They eat many of the pests that attack your plants. 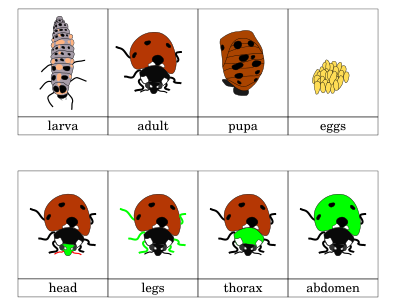 Here are some printouts of the life cycle and parts of the ladybug.